We know Season 7 of Game of Thrones is going to be epic without seeing a single photo, but now it’s official. That’s because during Westworld, HBO previewed some its 2017 programming, which included clips from Game of Thrones Season 7. The section of the promo highlighting Game of Thrones lasted less than three seconds, but it was enough to hype us up nonetheless. The Game of Thrones preview images for Season 7 taken from the video show the beloved Stark family with Jon, Sansa, and Arya all getting a brief moment. Jon appears to be in Winterfell, Sansa by the weirwood tree outside the family home, and Arya is an unspecified location riding a horse. The Stark family — or should I say the Stark sisters and their Targaryen cousin? — is looking a little rough (Arya’s hair is notably greasy), but that’s to be expected. Yet, despite their somber expressions, there could be a very happy reunion. 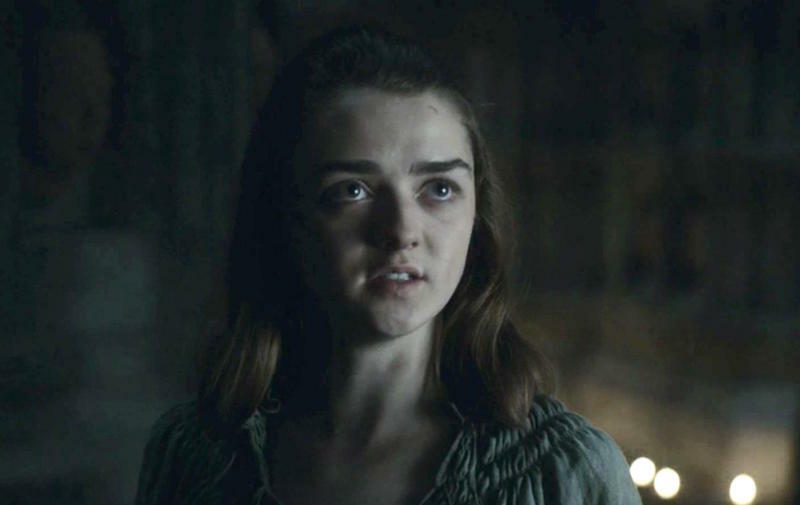 Yes, Arya said that she would be going home to Winterfell in Season 6, but these images are making that seem more like a reality than just a Game of Thrones fan’s hopeful dream. The other less-than-thrilling interpretation of Sansa’s photo is that she isn’t meeting up with her sister, but that she is hanging with Littlefinger. Petyr Baelish has been known to creep on Sansa by the weirwood. Either way, these photos are exciting. And if you missed the very brief preview of these images during Westworld on November 27th, don’t fret. Because HBO posted the Game of Thrones part on Twitter for you to watch and dissect over and over again. Although we have many months to wait until Season 7 of Game of Thrones, these photos of the badass Stark kids (sorry, Bran!) will keep us going.